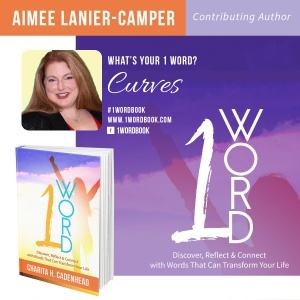 Click here to order your copy of 1 Word: Discover, Reflect & Connect With Words That Will Transform Your Life featuring yours truly, Aimee Lanier-Camper. All pre-orders from this page will be personally autographed by me, Aimee Lanier-Camper. Order your copy today and discover, reflect and connect with words that can transform your life. We take so much for granted these days. As a result, some people, maybe even you, never or rarely take the time to reflect on words that impact their lives. Get the book and then start the journey of self-reflection, digging deep into your own conscience and discover words that have somehow played a significant role in your life without you even knowing it. You’ll be amazed at what you learn about yourself and how words impact you in ways that you never knew. ABOUT THE AUTHOR: Aimee Camper was raised in Fairfield, Alabama and currently resides in Hueytown, Alabama. Her background is in Natural Health, Herbology, and the Mind, Body, Spirit Connection. She holds a Bachelor’s of Arts in American Studies from the University of Alabama. Her hobbies include photography and writing. She is a classic car enthusiast and uses the hobby as a method of community outreach for volunteering and fundraising for local charities. She is actively involved in serving her community through her neighborhood association, classic car club, and church. 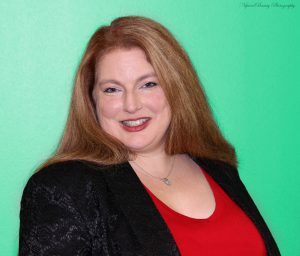 She has been published in the Holistic Times Newsletter, Comprehensive Iridology Newsletter, Biodiversity Magazine, and the Renew Refresh Reset Your Life Blog. She also has experience in copy writing, course writing, and editing in the Natural Health field. She currently works for the City of Homewood, serving the City Council and Mayor, which provides valuable insight in her involvement with her neighborhood association and non-profit volunteerism. Aimee and her husband Barret recently experienced the birth of their first child, Amelia. From body image perspectives to balancing career and family time, Aimee enjoys writing about the experiences of her pregnancy as well as her life as a first time mommy after forty.